Responses to Tole's WashPo Cartoon - II - Plagarism? The Tole cartoon isn't even original. 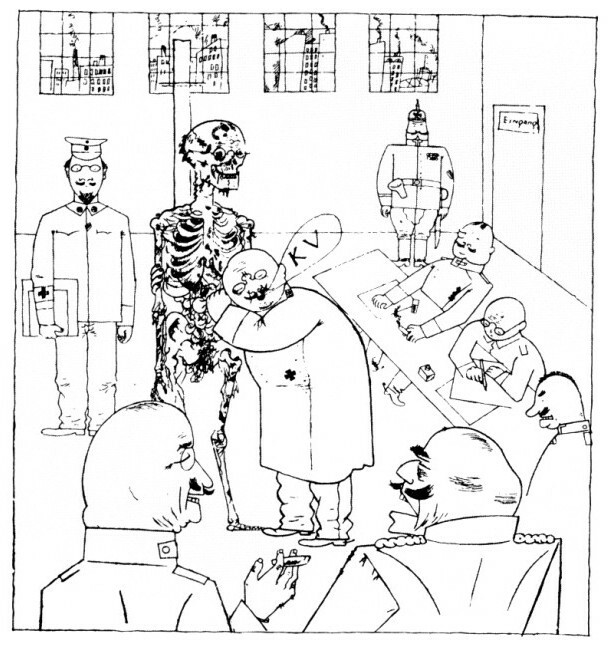 I'm enclosing a cartoon in the body of this e-mail, drawn by the German artist Georg Grosz in 1918. It's called either "Fit for Active Duty" or "A-1: The Miracle workers," depending on who you talk to. Anyway, the German doctor is pronouncing the skeleton "K. V." or fit for active duty. What are the odds that Tole saw this image? More reactions at TCOverride and Wizbang!